I didn't set out to become a photographer. I just kind of fell into it after falling in love with taking portraits during a photography class. When I decided to go pro, I immediately upgraded my lenses but continued to use my entry level camera body. Since I had to pick where to put my pennies, I knew I would get the most bang for my buck if I upgraded my lenses first. While that was definitely the best long term decision, it didn't come without frustrations about the limitations of my camera body over the past three years. I've repeated it over and over but my current camera body has horrible image quality with a lot of noise at any ISO over 400. It doesn't allow me to set Kelvin temperatures which makes it more of a challenge to get my white balance right in the camera. It has way too few focus points, which has made it challenging to get my composition right in camera. Instead I've learned to set up my shots so that I could crop them during editing. It also has a crop sensor, which impacts the focal length function of my lenses. All of the limitations of my camera have made things a bit more challenging for me and have needlessly added a lot of time to my editing process. On one hand, those limitations have made me a better photographer. It forced me to learn my equipment inside and out and to push the limits of what it can do, and it taught me to get creative in seeking out alternative ways to accomplish my goals for my images. It has also made me better at photoshop. Since there were things I wanted to do, but couldn't do, with my camera it forced me to learn how to do them while editing. On the other hand, I feel that I have reached the limit of what I can do while using my current camera. If I want to grow and expand my skills (and my business), it's time to bite the bullet and move into the big leagues with a professional grade camera body. Let's just say that I know it's going to be. I've shot two sessions with my new camera, and WOW is all I can say. Now, the experience of actually buying the new camera body.... that's another thing entirely. But as they say, when you buy the best you only cry once. 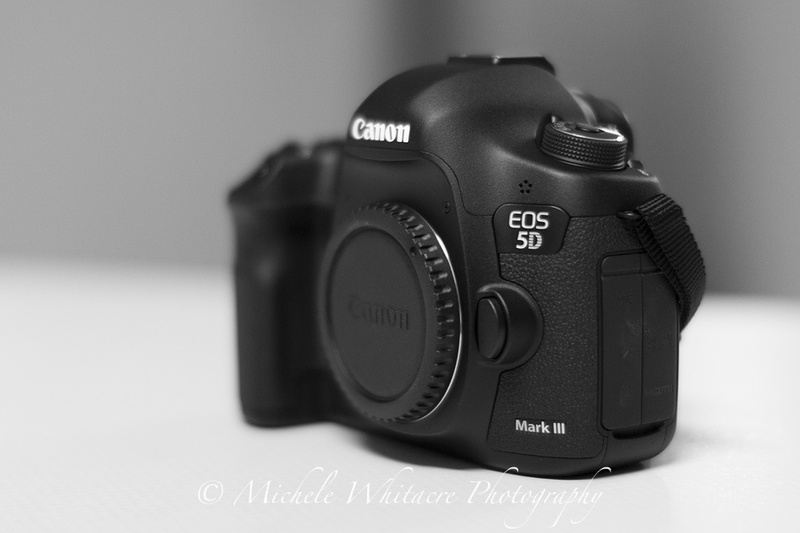 I decided to go with the Canon 5D Mark III for a whole lot of reasons that I won't bore you with. But the bottom line is that I felt like this camera would allow me to do everything I want and need to do now, and also allow for a lot of growing room in the future. After living with so many limitations for so long, I wanted a camera body that wasn't going to deliver a repeat performance shortly after purchasing it. I'm certain the Mark III will fit that bill perfectly. Do you want to see my entire 2012-2013 Birthday Bucket List? You can find it here. Or did you miss my 2011-2012 Birthday Bucket List? You can find it here. All Dressed Up with Somewhere to Go, Again!